Oh, man! Finally, it’s time for another POW, Pick Of the Week Podcast! I know you couldn’t hold your anticipation much longer, and you’re a real trooper for toughing it out. Good job! 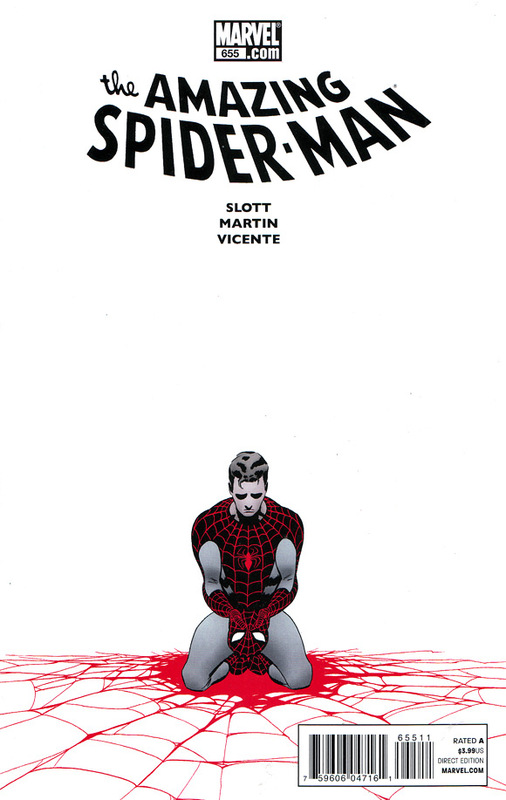 Ian has the pick this week and he went with Amazing Spider-Man #655. Unfortunately, Simon, Ken and Sheldon couldn’t disagree more. The podcast reaches riotous proportions as the group lets Ian know what a dumbass he is for such an irresponsible pick. He may be fired. Simon also starts to realize that he’s more of a fan of 1990’s comics than he thought, Sheldon is going to follow Bucky to Russia to help him fight bears and Ken can’t find his cat. It’s a show for the ages, my friend! Don’t listen at your own risk! Also talked about this week are Fantastic Four #588, Detective Comics #874, Captain America #615, Deadpool #33, Astonishing X-Men #36, Age Of X Alpha #1, Invincible Iron Man #501, Iron Man 2.0 #1, Ultimate Spider-Man #154, Green Arrow #9 and Savage Dragon #169.